The wooded island of Pelagos, was known in antiquity as Euthyra. Nowadays it is also called Kira Panayia, after the monastery of that name on its east coast, a dependency of Athos. The 12th c. monastic church contains a number of old icons and can be reached via Monastery Bay where a flight of steep winding steps lead up towards it. This old monastery was founded by the monks from Mt Athos in the Byzantine period. In recent years it was occupied by a solitary old monk but he passed on and it is now looked after by a friendly caretaker and his dog. The former monastic island of Yioura is now a reserve for wild goats. 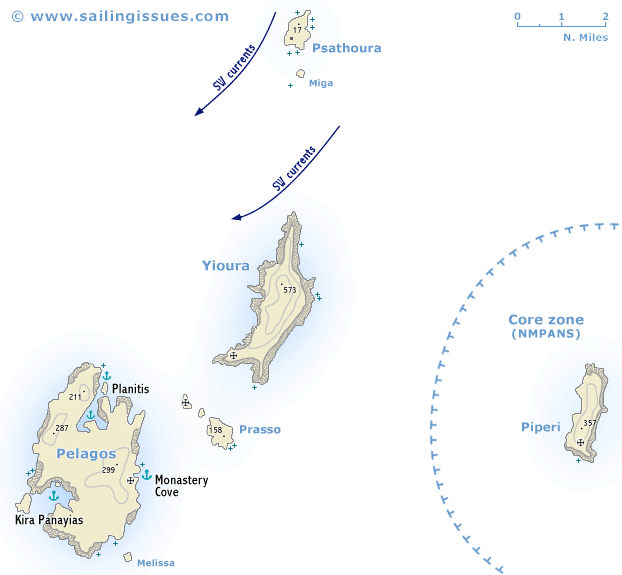 On the south side of the island are the Caves of the Cyclops, traditionally believed to have been the home of Polyphemos. Yachts and other tourists are not to approach the island within 400 metres. To the east lies Piperi (the Pepper pot), a nature reserve for - primarily - the Monk Seals, which should be kept at a distance of at least 3 nm. 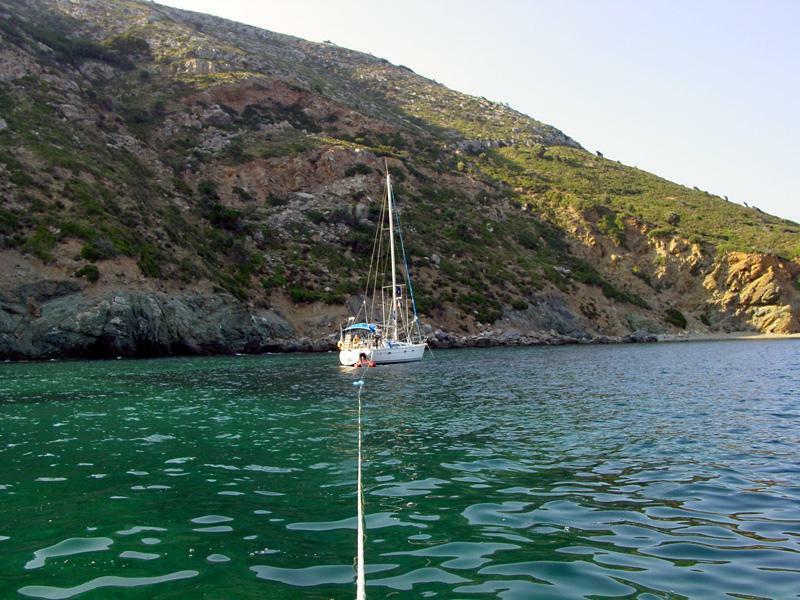 The last in the string of the Northern Sporades is the volcanic island of Psathoura. Just of the north coast, under water, are the remains of buildings belonging to an large ancient city engulfed by the sea.